Atlas Travel | Irelands favourite bus & coach hire company! At Atlas Travel, we want to ensure that you enjoy Ireland in all it's glory! Would you like to explore beautiful Ireland? Browse some of the Atlas Tours. 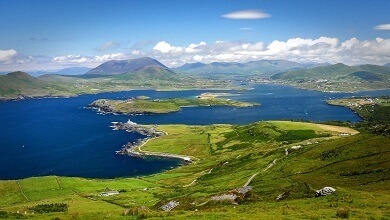 The Ring of Kerry (or Iveragh Peninsula to give it its correct name) is part of the mystical & unspoilt region of Ireland, that has attracted visitors for hundreds of years. Its spectacular beauty is beyond question. The Dingle Penninsula is one of the most beautiful areas in Ireland. 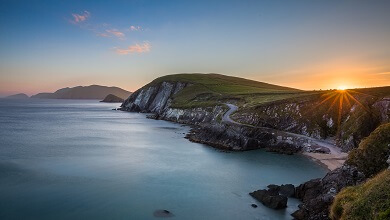 Join us on a full day tour travelling to the Dingle Peninsula, where we will take a circular drive around this breathtaking coastal landscape. North Kerry is a remote part of the kingdom of Kerry with roads less travelled where you will discover the tranquil beauty that few tourists experience. An incredibly beautiful part of the Kingdom. Are you ready for an Atlas adventure? Allow us to show you some of the most breathtaking scenery on this planet. Atlas Travel is a bus and coach hire company based in Ireland. We also organise golfing/sightseeing tours in Ireland and the rest of the EU. For some of the best rate's we also offer to organise your accommodation. We do everything from airport runs to hen/stag parties. The reason we began our tours is because we drove for some companies & realized how bad the tour guides were. Some didn’t know what they were talking about & painting a bad picture of Ireland. Some were just making stuff up as they were underqualified to describe the beauty of our lands! So, we decided to have local Irish people brought up with this history and knowledge of this island of Ireland to take groups where literally no travel company goes or even knows. Atlas Travel is a bus and coach hire company based in Ireland. 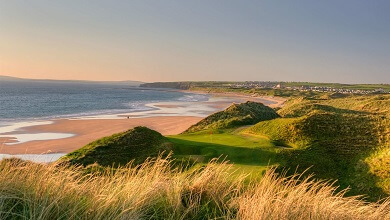 We also organise golfing/sightseeing tours in Ireland and the rest of the EU. For some of the best rate's we also offer to organise your accommodation. We do everything from airport runs to hen/stag parties. Atlas Travel, Tralee, Kerry, Ireland. Copyright Atlas Travel. All rights reserved.